It’s never been unusual to hear about pastors dropping out of full-time ministry when the demands of the calling are different from their expectations. Especially in the early years of ministry. That’s nothing new. Pastoring is definitely not for everyone. What is different lately is how many long-time pastors are burning out (from exhaustion and stress), flaming out (from hidden sins catching up with them), or even making the horrific choice of opting out permanently (from suicide). Of course, just one pastor going through any of that is too much – or any person, of course. But recently, it seems like barely a week goes by without hearing another sad report of lives ruined, families torn apart, and churches devastated. What’s also notable is that these pastors are as likely to be from a large, vibrant and growing church as a small, struggling and shrinking church. Despite all the expectations we put on it, church growth is not necessarily a reflection of congregational or pastoral health. Church growth may not have caused any of those problems, but it didn’t fix them either. To be fair, I don’t know of a single church growth proponent who even hints at such a correlation – in fact, they regularly caution about the need for a solid emotional, spiritual, moral and theological foundation. But there’s a perception among many of my peers in ministry that church growth will solve a lot of our problems. 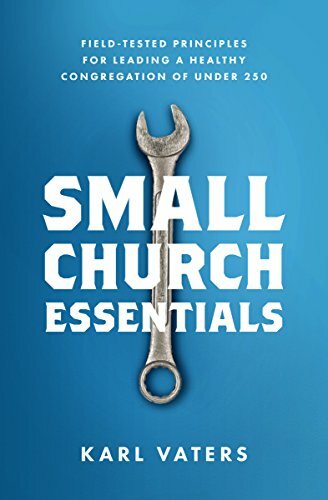 No one dares to say it out loud, but for many of my small church peers there’s an unspoken, underlying expectation that a bigger church with a bigger staff and a bigger budget will reduce our stress, our feelings of inadequacy and our longing for validation. Sometimes we convince ourselves that if we only had more people in our church it would reinvigorate our lives, spirits and even our marriages. But it doesn’t. Because it’s not meant to do that. If you are a pastor chasing the dream of a bigger congregation, I don’t want to discourage you from trying to reach more people for Jesus or structuring your congregational systems to minister to a larger group of people. But we need to approach church growth with the right perspective.